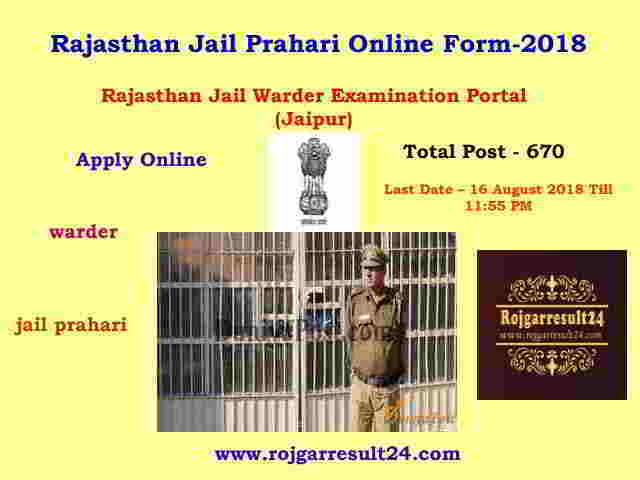 Rajasthan Jail Warder Examination Portal (Jaipur) Rajasthan. 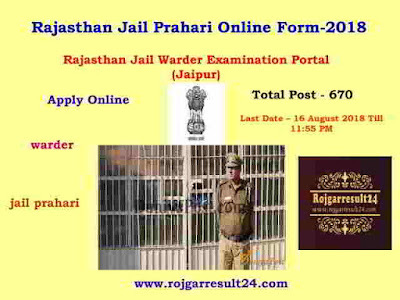 Are Invited Online Application Form For Post Of Jail warder&prahari.So Interested Applicant Complete Your All Eligibility Criteria And Apply Online Application Form. Before You Apply Online Application Form so Please Read Full Notification. Fill the Exam Fee through Online Debit Card, Credit Card, Net Banking OR Pay Through E-Mitra, KIOSK. Extra Relaxtan Age As Per Rules. Candidate Must Pass 10th (High School/Matric) From A Recognized Board OR Its Equivalent.